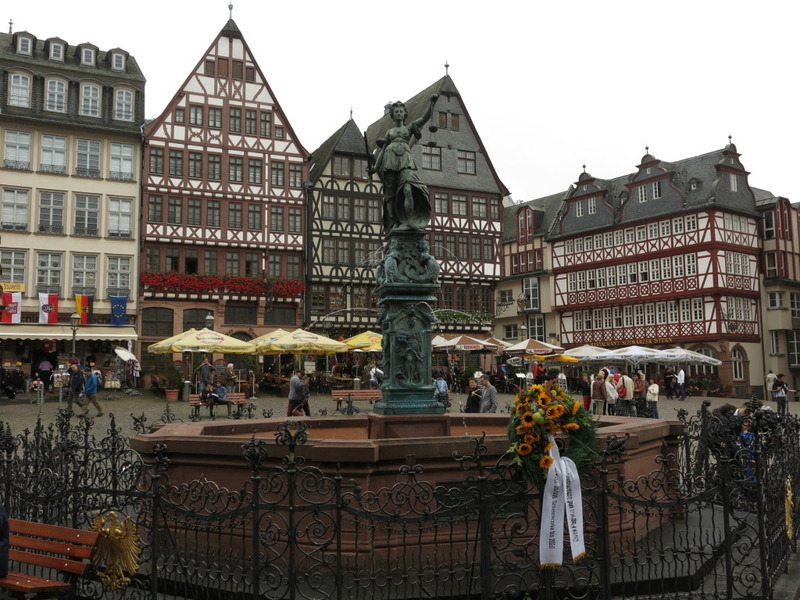 After probably having connected over 30 times at the Frankfurt Airport, I finally got a chance to see the city yesterday. The cheapest possible connection to Malawi, where I am traveling for work, is via Frankfurt but it includes a 14-hour stopover. In fact, last time I went to Malawi, this route wasn’t even recommended because of the stop, and I instead flew Ethiopian Airlines, via Addis Ababa. But my more seasoned Africa traveling colleagues told me about the flight and I saw it as a great opportunity of saving both money and seeing a new city. 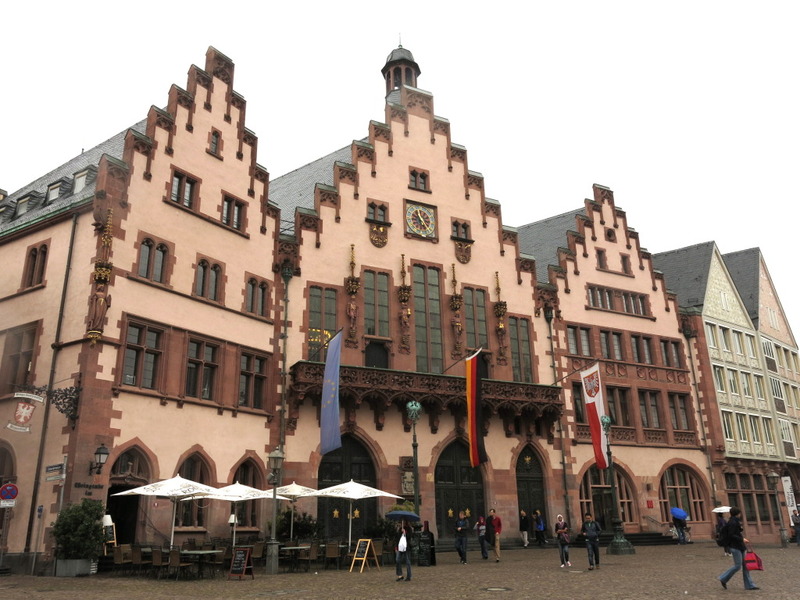 I have to admit that I was positively surprised by Frankfurt. I don’t know why but I had pictured it less cozy and more impersonal, but the city was very nice and with lots of pedestrian areas and outdoor spaces for socializing. And Rönnderberg looked like something out of Grimm’s Fairy Tales. Just as when I was in Amsterdam, I mainly wandered around aimlessly, following Miss Lavish advice on letting go of the Baedeker, although in direction of the Old Town. 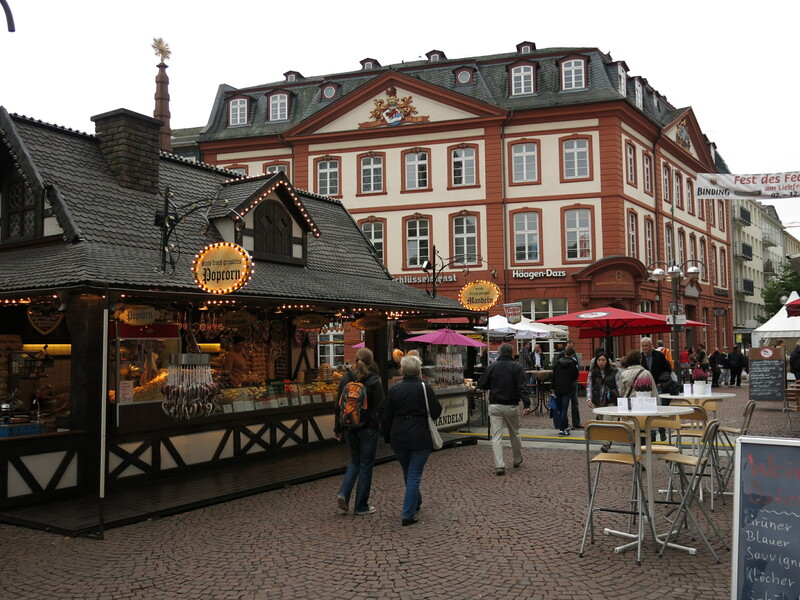 Unfortunately, the weather wasn’t the best, so I only walked around for a few hours, but I saw Römerberg, the Old St. Nicholas Church, the Zeil, and found a food market at Konstablerwache where I had traditional German lunch. Getting from the airport to the city center was really easy, the commuter train took only about 15 minutes, and so I will definitely do this again next time I have a longer stopover in Frankfurt. 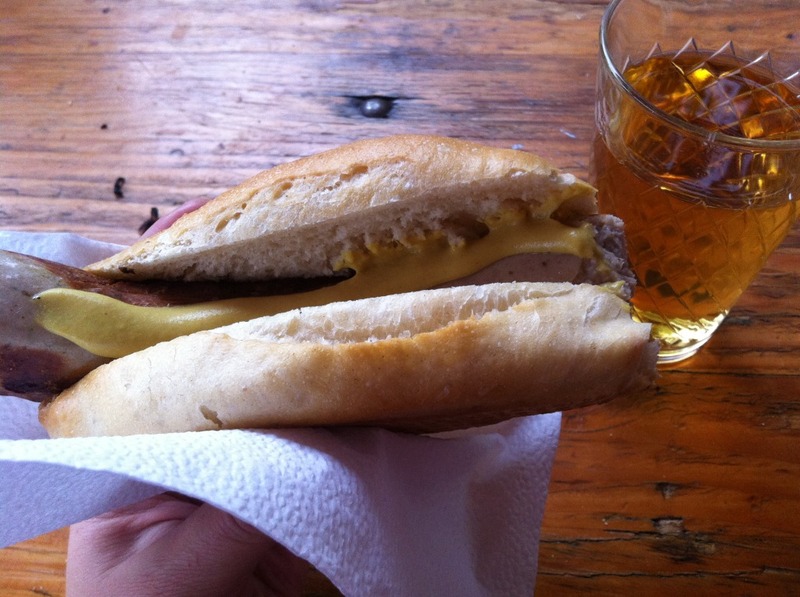 Delicious bratwurst and apple saft for lunch. 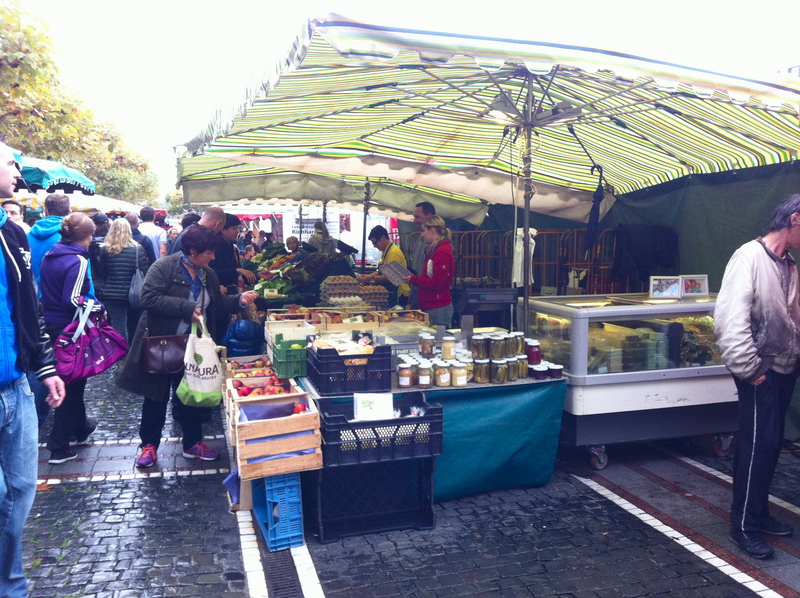 What I really liked about the food market was that there were no disposable plates or cups, and even though it was quite cold, there was plenty of tables for people to sit down to enjoy their lunch, beer, or cider – very different from the food culture here in DC. 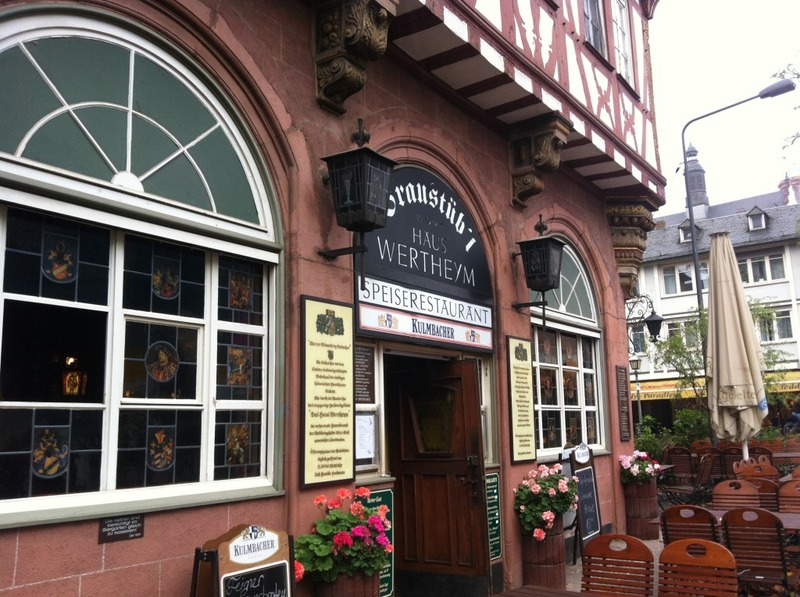 I definitely recommend a stop there to anyone who visits Frankfurt. 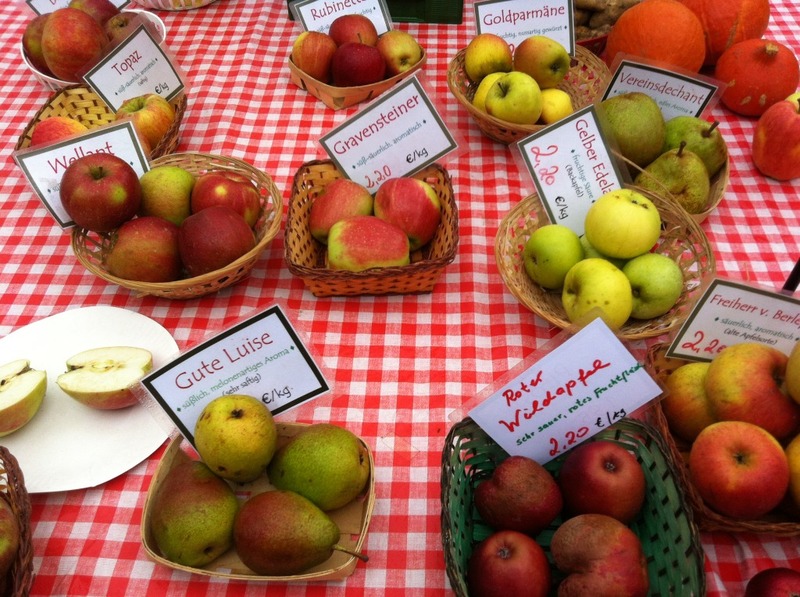 This entry was posted in My Travels, On Agriculture and Food. Bookmark the permalink.